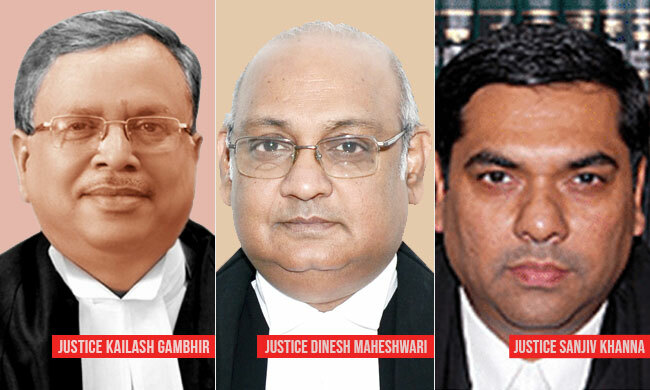 Former Delhi High Court judge and Senior Advocate Kailash Gambhir has written to the President of India, questioning the Supreme Court Collegium's recommendation to elevate Justice Sanjiv Khanna and Dinesh Maheshwari to the Supreme Court. The letter claims that the decision has sent shockwaves across the entire legal and judicial fraternity, and calls it "appalling and outrageous" and an "earth shattering decision" by the Collegium to supersede as many as 32 judges, including several chief justices. The decision, he says, casts aspersions on the intellect, merit and integrity of all those who have been superseded. Mr. Gambhir goes on to elaborate on the legacy left behind by legendary Supreme Court judge, Justice HR Khanna, who was Justice Sanjiv Khanna's uncle. He points out that Justice HR Khanna, best known for his historic dissent in ADM Jabalpur, was the only judge who had the honour of having his portrait unveiled in Supreme Court during his lifetime. He, however, states that the talk in the legal corridors is that Justice Sanjiv Khanna's elevation has been recommended with the intention to "pay respect to the legacy left by his great uncle". With these assertions, the letter states, "I humbly urge your Excellency to kindly ponder over as the head of our largest democracy in the world with a robust judiciary and having remained a part of the legal fraternity, and see yourself that the way the present collegium of five eminent senior Judges have superseded almost 32 Judges, how will the democracy and independency of judiciary in the country survive." As for the recommendation concerning Justice Maheshwari, Mr. Gambhir points out that Justice Maheshwari was superseded by the Collegium a month and a half back. "Now out of the blue, he becomes more deserving and suitable within such a short gap," the letter then states. Mr. Gambhir ends his letter with an appeal to the Present to prevent "another black day" and "another historical blunder" from being committed, and to preserve the credibility and independence of the judiciary.